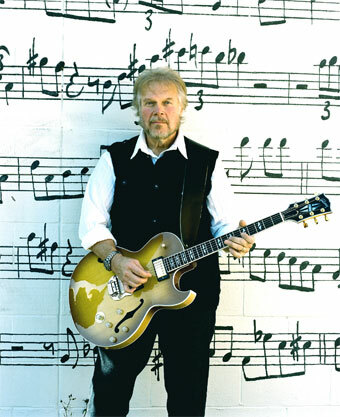 Born in Winnipeg, Canada, Randy Bachman has become a legendary figure in the rock and roll world through his talents as a guitarist, songwriter, performer and producer. He has earned over 120 Gold and Platinum album/singles awards around the world for performing and producing. His songwriting has garnered him the coveted #1 spot on radio play lists in over 20 countries and he has amassed over 40 million records sold. His songs have been recorded by numerous other artists and placed in dozens of television, movie and commercial soundtracks. His music has provided a veritable soundtrack of the last thirty years of popular music. He first scored Billboard radio chart success with his band The Guess Who in 1965 performing the song Shakin' All Over. After this initial success it would be another few years before the glare of the spotlight would be cast upon these young Canadian boys again. Sticking it out through some misadventures paid off for the band and they worked their way back up to the top of the charts in a spectacular way. This time, The Guess Who went on to virtually own the pop charts with an unprecedented run of 5 million-selling singles, all the product of the gold plated Randy Bachman-Burton Cummings songwriting team. By 1970, The Guess Who had sold more records than the entire Canadian recording industry to that point, even outselling the Beatles that year. Their hits included These Eyes, Laughing, Undun, No Time, No Sugar Tonight and American Woman. Due to health concerns and desiring a change in lifestyle, which would include spending more time with his young family, Randy left the Guess Who at the height of their success. While this move stunned the music world, Randy knew that he could never leave music behind. He formed Brave Belt - a county rock outfit in 1970 and experimented with a new musical style and line up that eventually metamorphosized into Bachman-Turner Overdrive. Unbelievably, Randy's success with Bachman-Turner Overdrive would eclipse his earlier triumphs and give him yet a third run at the pop music charts. Monstrous hits for the band included, Let it Ride, Roll on Down The Highway, Takin' Care of Business and You Ain't Seen Nothin' Yet which reached #1 in over 20 countries. Randy's career has been built upon his unstoppable drive to work at creating music. He has released numerous solo albums throughout his career, and has simultaneously worked at producing for other artists. His production/writing work with Canadian rock band Trooper generated gold and platinum record in the 1970's. His love of guitar music and a desire to support some unsung and legendary guitar greats including his early mentor Lenny Breau, led him to found the jazz guitar record label Guitarchives which rescues and releases otherwise lost archival guitar music. As well he founded Ranbach Music, a label which releases archival Guess Who recordings, and other material which never made it to CD. Noteable Entertainment & Events is a Vancouver based booking agency, party rental, entertainment services and event production company. If you are interested in booking Randy Bachman please contact us.